Popularity of Cigar Box Guitars continue to grow. 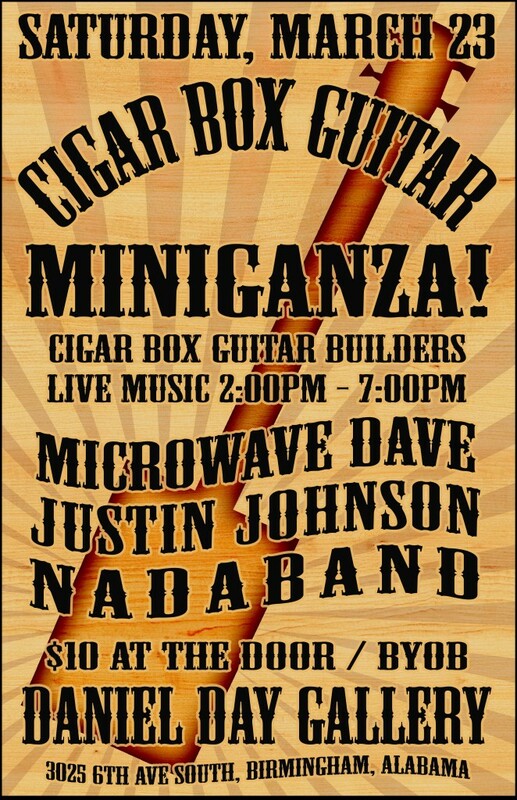 Meet builders and see examples of their work at The Cigar Box Guitar Miniganza this Saturday at DanielDay Gallery in Birmingham! Great music, too! If you do the Facebook thing, you can learn more HERE.